I often get questions about Licensing Windows 7 in a VMware View deployment. I will try to elaborate what is needed in general and for specific scenarios. By understanding how they apply to common VMware View scenarios you can calculate and try to get the most out of existing and new licenses needed. Every device you want to use to access the VMware View environment, with Windows 7 Desktops, needs to be licensed. It does not matter if it is a PC, a Thin or Zero client, an iPad or similar devices, every device accessing Windows 7 via VDI needs to be licensed. You have two ways to license the environment, you can utilize the Software Assurance Windows Virtual Desktop Access Use Rights benefit at no additional cost; or you purchase Windows VDA subscription. Windows VDA is licensed per access device. There is currently no option to license Windows VDA per user. VDA through SA or VDA subscription? Certain devices, such as thin or zero clients, do not qualify for Software Assurance coverage for Windows. To license these devices for use with VDI you will need Windows VDA subscription. The rule of thumb is that if it isn’t a full blown Windows Desktop Operating System with Software Assurance (SA) you will need VDA subscription licenses to access the VMware View vDesktops. When you carry Software Assurance on Windows, you can use your licensed PCs to access your company’s virtual desktop environment at no additional licensing cost. The scenario that you have full blown PCs you are going to use to connect with the VMware View vDesktops is not very realistic, because you want to achieve cost reduction in desktop management when deploying VDI. That is why zero clients with a Terradici chip, like the Wyse P20, are very popular now-days. Certain devices, such as thin and zero clients, are not eligible for Software Assurance and therefore will not have Windows Virtual Desktop Access Rights. You can license such devices with a Windows VDA subscription license. This is a monthly fee per device, you will pay per year and have a contract for the next 3 years. If you have devices which do you not have a full blown operating system with valid SA you will need a VDA subscription which is roughly $100,- per device per year. All devices not qualified under SA can be licensed with a VDA license. You will get software assurance benefits, roaming rights and can use third party devices for accessing the VMware View vDesktops with Windows 7 running. Includes Software Assurance benefits, such as 24×7 call support, training vouchers, access to Enterprise versions of Windows, etc. For accessing the VMware View vDesktops with Windows 7 you will need Roaming use rights. Because Software Assurance is included in the VDA license, roaming access to Windows virtual machines (VMs) from thin clients, third party, and non-Windows-based devices is allowed. Since Windows VDA licenses include external roaming use rights for the primary users of company-licensed devices, no additional licenses are required for users to access VMware View vDesktops from their home (employee-owned) PCs. Also with Windows 7 the 90-day reassignment rights are active, this means you have to assign the VDA license to a device. You have the right to reassign the license to another device after 90 days, or in case of endpoint failure you may reassign the license right away. This rule is important if you have different groups accessing the VMware View environment, see for examples the scenarios mentioned below. Both Software Assurance (which includes virtual desktop access and roaming use rights) and Windows VDA (which enables virtual desktop access for non-Software Assurance and non-organization access devices) are available through all major Microsoft Volume Licensing programs including the Enterprise Agreement, Select Plus, and Open Value program. You can use Windows 7 Professional and Windows 7 Enterprise for use in a VMware View deployment, because these are the two versions which can be covered under volume licensing. 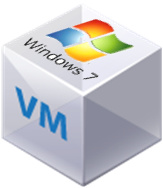 If you have VDA subscription you are entitled to the Windows 7 Enterprise version as operating system in your VMware View deployment. Therefor most used Windows 7 deployments in VMware View are Windows 7 Enterprise. With Volume Licensing for products such as Windows 7, Windows Server 2008 R2, Windows Vista, Windows Server 2008, and Microsoft Office 2010, you must use a new type of product activation called Volume Activation (VA). To activate these operating systems with VA, you can use either a Multiple Activation Key (MAK) or Key Management Service (KMS), requiring a KMS key. When you buy a VDA subscription you will get one or multiple KMS keys for Windows 7 from Microsoft. Your company has 500 Thin Clients for 800 users from whom 50 work regularly at home. The users access the VMware View environment with 380 concurrent usage. You will need 500 VDA licenses because of the thin clients used to access the View environment. SA is included in the VDA subscription so the home workers do not need extra licensing and are covered on the Roaming Use Rights. Your company has a crew of 125 users who are mobile and sell products. These users will never be in the office and use all sort of devices to access the View infra. Further you have 25 office workers as support staff on Zero Clients accessing the View environment. You will need 150 VDA subscription licenses. Your company has 35 laptops with Windows 7 Enterprise with SA, 100 Thin Clients, 15 Zero Clients and 5 iPads which access 600 vDesktops on the View infra. 100 Thin Clients, 15 Zero Clients and 5 iPads need 120 VDA subscription licenses. Your company has 1290 users which access the VMware View environment through 1100 Zero Clients and make up 960 concurrent sessions. 1100 Zero clients mean 1100 VDA subscription licenses. Your company has 25 external contractors using their laptops/iPADs for a project in the first 3 months, then 10 external contractors will access the VMware View vDesktops for the rest of the year for another project. Each contractor-owned PC requires a Windows VDA license. Because you may permanently reassign Windows VDA licenses after 90 days of ownership, you would only need 25 Windows VDA licenses for the external contractor-owned PCs. Nice write up. In addition I would like to add that VMware View composer only supports KMS license key on Windows 7. Good additions, I always use KMS for View because otherwise you can have very strange licensing counts and possible problems with Microsoft. But there are 2 questions left for me. 1. Does VDI also mean to have e.g. one Win7 VM and you are not using View? 2. How do you license the VMs? 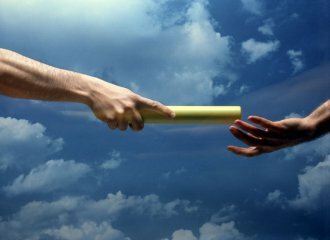 Do you need a extra Win license for each VM? 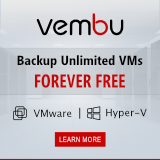 Hi, I’ve the same question about licensing the VMs themselves. Don’t know if I have to buy a full Win7 license or if it’s included in VDA subscription. I’ll have to look at Microsoft website… Very good article anyway. By buying VDA licenses you are entitled to Windows 7 Enterprise in the form of a KMS key for the number of VDA licenses you have bought. You can download the software from the Microsoft licenses mentioned on the printout/portal for Microsoft licensing after the have received payment. Easy to read. Concise. Complete. Easily the best licensing article I have ever read. The piece that was alluding me was that, either with SA or VDA, you already are entitled to the VM Windows 7 license by virtue of that SA or VDA subscription. The value proposition is much clearer now, and it is all thanks to your excellent article. Kudos! What if we wanted to sell VDI as a product rather than offering this service to our internal/remote staff? I have been told that the only way of achieving this would be to have Server 2008 guests ‘looking like’ Windows 7 desktops (for some obscure licensing reasons) as we are not allowed to license Windows 7 for this commercial purpose. This really confuses me and I wondered if there is a valid way to work around this issue. According to the Microsoft Product Use Rights only the primary user of a VDA licensed device has roaming use rights. If it is a shared device no roaming use rights apply. so in addition, if the 50 users ar not primary user of a single device they need to have their own vda license. VDA is based on devices not on users or it must be that those 50 users never work on a device at work, but thats not the case in scenario A. So the 50 users are covered under the roaming use rights, because they work at the office on a Thin client and occasionally work at home. This is also true if you have multiple shifts during the day where those 800 users share the 500 Thin clients in 3x 8 hour shifts where ~267 users use 500 thin clients per shift. You will need to get 500 VDA licenses. Hope this clarifies it a bit. I don’t really get it. Why do I have to get a VDA/SA subscription for the devices which access my VDI? I’m allready licensing the VM itself and then I’ll have to get an additional license for nothing? Everyone’s saying that VDI saves money, but where? I’m buying cheaper devices for VDI-access like thin clients or tablets, and then I’ll have to buy VMware View licenses and Microsoft VDAs. At the end there are no savings in total hard-/software costs. I can see the advantages in topics like management, performance and security, but how do I sell the costs to customers? Actually in Microsoft licensing stuff you’re not allowed to use OEM or Box licenses for a VDI purpose. You’ve to use VDA subscriptions. And these subscriptions depend of thin clients (1 VDA per thin client, you’re allowed to use up to 4 VDI with this thin client without having to pay for Operating System). If your users need more than one VDI it’s interesting. If they’re using only 1 VDI it’s the same price as for a Box license (1 box operating system price is the same as 3 years of VDA subscription). What about Office 2010 in this VDI scenario ? Do we have to buy a VL license or can we use Office 2010 Home & Business PKC license ? If only VL licenses are allowed it could mean that we have to pay 4*100 € VDA and 380 € Office Standard VL for 4 years (typical usage time for a PC) VDI usage (=780 €) compared to 90 € W7 Pro OEM + 140 € Office 2010 H&B PKC (=230 €). For the difference of 550 € one can buy a complete physical PC with W7 and Office ! This would kill every VDI project before it starts…..
Nice article. Cleared up some questions but I have others. Our setup is we have 15 users who would use View. About 10 of those users would connect using multiple ways (iPad, Laptop, home personal PC). Altogether only 5 users would connect at the same time. If we setup View with Linked Cloning, how many VDA licenses of Windows 7 would we really need? Nice post; very thorough and well-designed. I am a freelance programmer and technical writer who uses VM Player to run various software configurations in “clean” environments for short periods of time. What is my best option as far as licensing Win7 for my VMs? Makes the ROI on virtualized desktops very difficult to justify. I can “centrally control” a real computer in an enterprise environment just about as easily as centrally controlling a virtual desktop. And I can use other technology (like XenApp) to support remote users without paying M$ highway robbery subscription fees. M$ is going to kill this whole virtual desktop thing for all but the really big guys who can see the ROI based on sheer number of managed computers…or service providers attracting customers to the “in the cloud” model. Do I need Remote Desktop Services device CALs for each device if using vmware view? No you do not need RDS CALs for each device. With VDI, and in this case VMware View, you will need VDA subscription if you have a device which does not contain Windows or you need a valid Software Assurance through for example Enterprise Agreement to use the devices to access the Virtual Desktops. If you have any more questions or this didn’t answer you question do not hesitate to ask. Thank you for the prompt response Edwin! having a Windows 8 Enterprise license requires a Windows Server to handle this?